Who are Spectrum Supplements Affiliates? They range from large high-traffic commercial websites to small personal blogs. 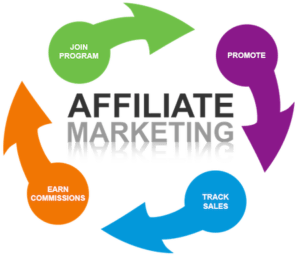 By placing a Spectrum Supplements link on their site, an Affiliate earns money whenever a visitor clicks on that link and makes a purchase on Spectrum Supplements. Anyone with a website or Blog can apply to become an Affiliate. The more customers you refer that buy, the more you earn. Our Affiliate Program pays you a 5% commission and we will give you a unique Coupon Code to provide your referrals so they can save 5% on their order, giving them incentive to return and purchase through your exclusive link. You earn commissions on all Spectrum Supplements orders that were referred from your website, and your referrals save too. You can view your daily activity and balances by logging into your account at any time. Payments are sent out at the end of the month following the month commissions were earned. Receive payments by Check or Paypal. With Spectrum’s online Account Manager, you’ll be able to maximize your earnings by getting detailed reports on all transactions made through your website. By knowing which banners, links and products sell best, you can tailor your messaging to drive more traffic to Spectrum Supplements, which in turn can mean more earnings for you. Anyone with a website interested in placing a Spectrum Supplements link on their site can apply to become an Affiliate. Spectrum Supplements reviews each application and determines who can join the program. Whenever a person visits your website, clicks on the Spectrum Supplements link and makes a purchase on Spectrum Supplements, you earn 5% of that order. To sign up for the Spectrum Supplements Affiliate Program, follow the Instructions below. How does Spectrum Supplements track sales from my website? Spectrum Supplements records and keeps track of your sales all visible through your Affiliate Account. When you download a Spectrum Supplements link to place on your site, that link is tagged with your unique account information. All sales made through clicks on that link are credited to your account. Sales are also reported within your Affiliate Account Manager, which you can easily access to check your site activity. Spectrum Supplements tracks all Spectrum Supplements Affiliate links you put on your website, as well as when visitors click on those links and make purchases on Spectrum Supplements. This information is recorded in your personal Affiliate Account and presented to you in easy-to-understand reports. You can check your account anytime to view transaction details including transaction amounts and your commission on the transactions to date. We are always happy to help our Affiliate partners. Please phone toll free at (888) 607-5958 or Contact Us. JOIN OUR AFFILIATE PROGRAM AND BEGIN EARNING TODAY! Once you are approved, this customer account will be granted Affiliate rights and you can begin marketing!